Detective Pikachu | Movie | Birth.Movies.Death. When word got out that a DETECTIVE PIKACHU film was in the works, you could be forgiven for feeling a bit of skepticism about it. After all, taking a well-known children’s franchise and turning it into a hybrid live-action/animated film hasn’t always yielded the greatest achievements in cinema history. But then that magical trailer landed, and it turned out that DETECTIVE PIKACHU doesn’t just look good. It looks incredible. The film takes place in Ryme City, a busy, bustling metropolis where humans and Pokémon live side-by-side but are unable to communicate with one another. Tim (Justice Smith, PAPER TOWNS) is a human whose detective father has gone missing. When his father’s partner, Detective Pikachu (Ryan Reynolds, DEADPOOL), shows up, Tim realizes he can actually understand what this Pokémon is saying (and man, he can talk). A friendship is forged, and the two embark on an adventure to find Tim’s father that will bring them up against some of the most fierce Pokémon imaginable. If you’re trying to figure out why you’re this excited about a Pokémon film, even if you’re not a die-hard fan of the franchise, it likely has to do with the A-list team behind it. 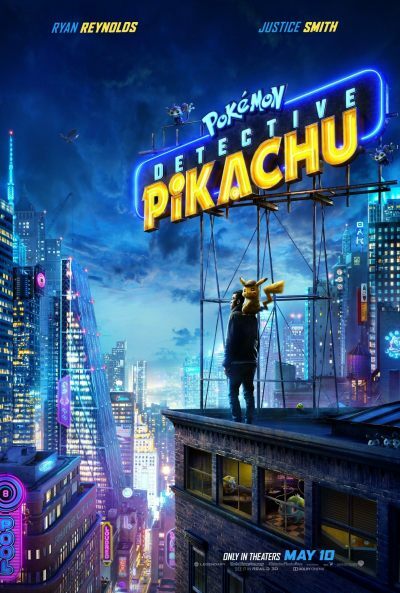 From a director with a solid track record of family films (Rob Letterman, GOOSEBUMPS), an Oscar-nominated cinematographer (John Mathieson, LOGAN), and a team of hilarious writers (including GUARDIANS OF THE GALAXY scribe Nicole Perlman), DETECTIVE PIKACHU is a funny, exciting, and thoroughly original thrill-ride that will delight Pokémon fans and newcomers alike. Welcome to your new very-probable cinematic universe. The Merc with a Mouth is back and has brought hours of bonus features along with him. It's exactly what you think it is. Bayhem will soon be streaming. The sequel delivers more of everything, and makes it work. The actor visited Mexico City to promote the anticipated sequel to the hilarious meta superhero movie.